Fall is here and it's time to bring out the big guns. And by big guns I mean the big chunky knits that have been laying dormant in our closets. They are my favorite thing to wear once the temperatures drop and they are great for transitioning those summer pieces you haven't had enough of, into fall. The easiest option is to just throw them over a summer dress, put on a pair of boots and you're ready to go. But of course, they can be layered over basically everything. 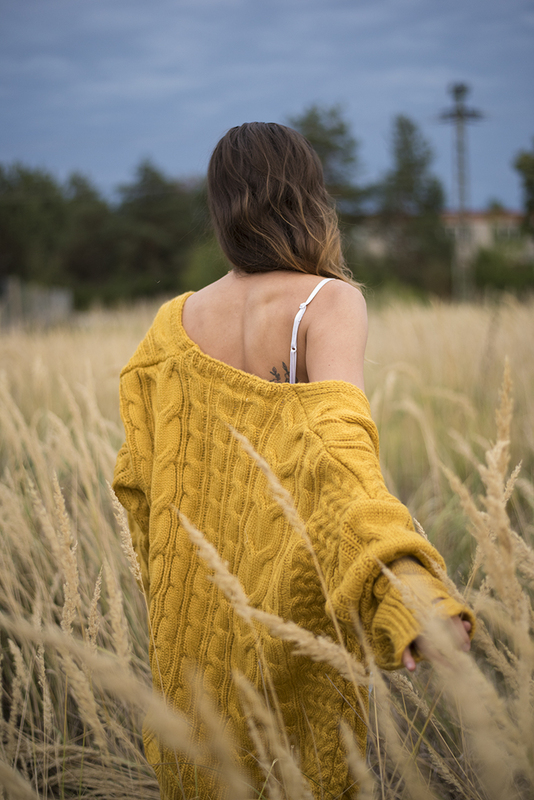 I went for a very casual and relaxed look here, with my favorite new mustard cable knit cardigan layered over a summer white top and boyfriend jeans. It's the perfect ensemble to wear during my evening strolls with my baby girl.